Palminfocenter: Was Tealpoint informed of Foleo's cancellation prior to Ed Colligan's announcement? Tealpoint: Unfortunately, I've been out of the country, and didn't hear about the announcement until well after it was made. My understanding was that it was a surprise to many inside Palm as well, and that our primary contact at Palm tried to call me regarding the cancellation. I don't know the precise timing of the call. PIC: There's been some speculation that the $10 million cost to Palm that Ed Colligan announced will involve compensation for Palm's software partners. 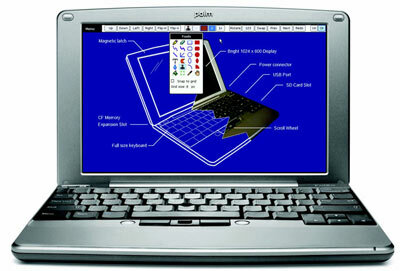 Will Palm be compensating Tealpoint for the time and effort spent developing these applications? TP: Compensation for what we have completed would be nice, but I haven't heard anything but speculation at this point. TP: Only Palm knows all the circumstances that led to their decision, but it's been clear from the start that the Foleo team had been working very hard to get the product to market, and many features had to be set aside due to the tight schedule. It's no secret that the Foleo had shortcomings in some key areas, but it was hoped these could be addressed in software updates after the initial release. The decision to cancel the Foleo is a smart one, however, if it means that the Foleo can return sometime in the future as a much stronger product. PIC: Will your Foleo applications ever see the light of day, either on Palm's upcoming new smartphone platform or on the Foleo II that Ed hinted at? TP: A lot of the improvements we've made in TealPaint, TealSafe, and SudokuAddict for Foleo have already been incorporated into the Palm OS versions of these products. I'm certain you'll see the TealPoint applications for Foleo appear again someday, either on the Foleo-II, next generation platform, or other future devices. PIC: Have Palm given you any clues as to when the Foleo concept might resurface? TP: We have no idea at this time how or when the Foleo might return, but we hope it is soon... We were very shocked at the Foleo cancellation, especially after having worked so closely with the Foleo team, all of whom were so enthusiastic about the device. From the start, we were optimistic about the promise of a new computing device that had the "Zen of Palm" in a larger package, but like others (including many both inside and outside of Palm), we were concerned about the lack of built-in support for much needed features, such as printing, PIM, browser tabs, instant messaging, video playback, and PalmOS compatibility. We hoped these features would be added sometime after the product's initial release, but there was worry their absence would hurt the platform before it got a chance to develop a solid following. At this point, we know nothing more than anybody else, either about the next generation platform or potential for the Foleo II. All we have is speculation. Our sincere hope is that the next gen platform is some flavor of Palm OS running on top of a linux kernel, and that the Foleo would return as the current Foleo-1 hardware running this new operating system. Not only would this allow developers to write apps for the next gen platform, Palm OS Garnet, and Foleo-II simultaneously, but it would capitalize on the existing library of PalmOS apps to fill in many of the software gaps that were missing on the Foleo-I. We'll see what Palm comes up with, however. Makeup! We need more lipstick for this pig!! iPod Touch ???? Maybe soon. Q: What's up with the whole Foleo thing? Q: What's the point of Citizen Kane? A: It's the sled, dummy! ... pretty much sums up the death sentence. You don't really think the "Foleo II" will ever be released, do you? It is pretty obvious that the "Foleo II" idea is just a way to save a tiny bit of face after such a humiliating series of events. of course there will be a foleo ii - when pigs (with lipstick on) - fly! CEOs who don't deliver profitablity get the boot, no one cares how accurate they are when conjecturing about their long-term product pipeline. Even Colligan's concept of Foleo II is based on "a new platform" and he "won't speculate on timing". Does this sound like anything that will happen in the next 18 months to you? Even now, I bet the accountants at Palm are damn glad the Foleo was cancelled. No one is going to be getting behind a Foleo II. Jeff Hawkins and I still believe that the market category defined by Foleo has enormous potential. When we do Foleo II it will be based on our new platform, and we think it will deliver on the promise of this new category. We're not going to speculate now on timing for a next Foleo, we just know we need to get our core platform and smartphones done first. Apple will release the Foleo. Just not with that name. And with more features. What is the size of the Foleo?